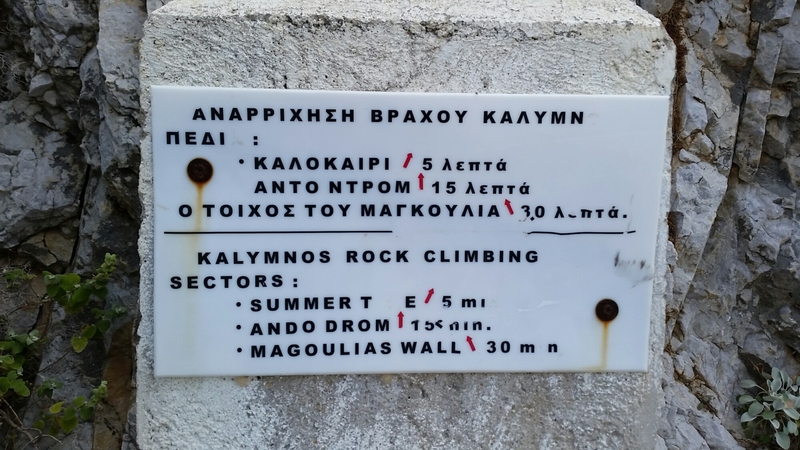 With another scorcher in prospect and having enjoyed the roadside sector at Summertime, we decided to head a bit further up the hill to Magoulia’s Wall. Happily more like 15 mins than the 30 indicated on the sign! We warmed up on the excellent Nikolas which might only be 5c but follows a striking line up a diagonal gangway before a stiff pull onto the wall above. 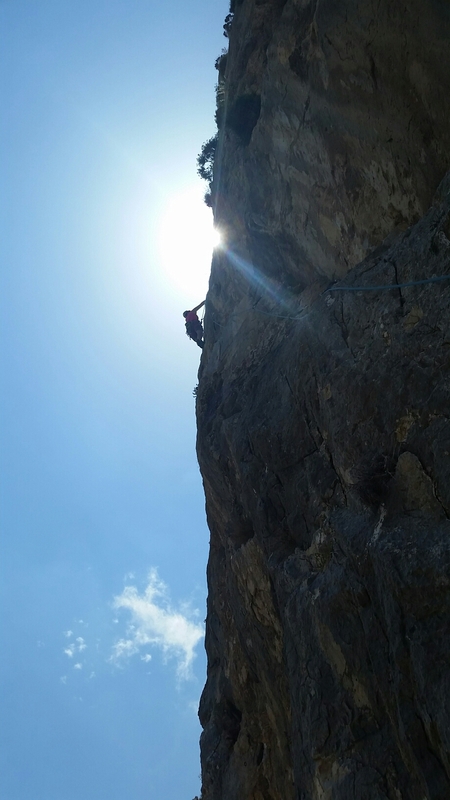 This has an extension which ups the length to 40m and the grade to 7a+, so I pressed on above the first lower off into steeper territory, only to be brought to a halt 10ft from the chain with a bouldery move – another one for the projects list…. 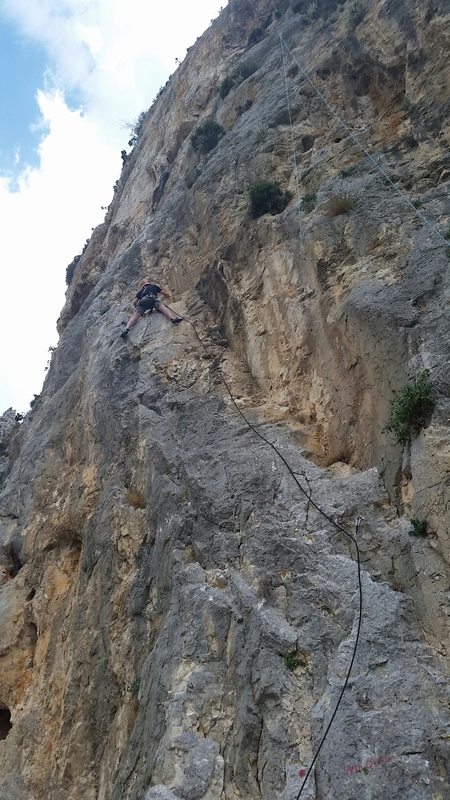 Joined shortly afterwards by L’Enfer de Menage, a 40m 7b which also has a tough crux sequence right at the end. Oh well! Back at a more amenable grade, we did a couple of great 6bs Fred and Fotini, the former being one of the routes of the trip. Here’s the fabulous Panorama of the crags alongside the Arginonta inlet.